Narendra Modi has slashed red tape to attract cos such as Ford, Maruti Suzuki, Tata Motors. Bharatiya Janata Party’s (BJP) prime ministerial candidate Narendra Modi, who leads opinion polls ahead of next month’s Lok Sabha election, faces pressure from anti-graft Aam Aadmi Party (AAP) attacking his economic model on his home turf, the thriving state of Gujarat. The pro-business leader has presided over rapid economic growth during more than 12 years as the chief minister of Gujarat, and slashed red tape to attract companies such as Ford, Maruti Suzuki and Tata Motors. Now, Modi promises to replicate his state’s development model nationwide if he becomes prime minister. 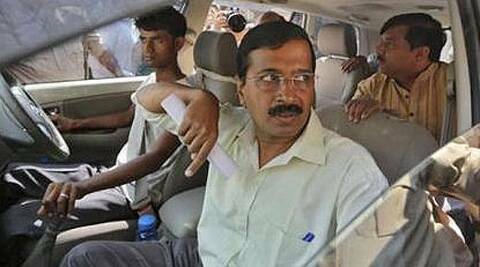 But Arvind Kejriwal, the leader of the Aam Aadmi Party, on Friday said small businesses in the state were being shuttered, public schools and health services were in poor shape and claims of regular supplies of electricity were not true. “What is your development model?” Kejriwal asked as he tore into the heart of Modi’s campaign, saying that 400,000 of the state’s farmers who had applied for electricity connections years ago had yet to receive them. Gujarat has been hailed for rapid measures to develop infrastructure and provide stable power supply, but critics often say it lags behind other states in social development. “What we’ve seen in the last two days is quite shocking,” Kejriwal told reporters at a meeting on the edge of the state’s commercial capital of Ahmedabad. Kejriwal, who was denied an audience with Modi, questioned the Gujarat chief minister’s claims on farm growth, job creation and clean governance, and suggested he was too close to big business. He was on a tour to study conditions in Gujarat, as part of his party’s first national campaign since bursting onto the political scene with a stunning victory in Delhi’s local election in December. Leaders of Modi’s Hindu nationalist BJP condemned Kejriwal’s remarks. “The Aam Aadmi Party’s politics now includes the right to gate crash, the right to a violent protest and the right to take liberties with the truth,” the BJP’s Arun Jaitley said on Twitter. Kejriwal was chief minister of New Delhi for 49 chaotic days before resigning, saying the country’s entrenched political parties were not letting him govern. The former tax collector, who has described himself as an anarchist, seems more comfortable in campaign mode. Street fighting between supporters of Kejriwal and Modi broke out in three states on Wednesday when Gujarat police briefly stopped his convoy, hours after the announcement of a month-long national election, to be held from April 7. Opinion polls put Modi far ahead of his main rival, Rahul Gandhi of the governing Congress party, but short of a majority. Kejriwal says both Congress and the BJP are beholden to corporate interests, and on Friday questioned Modi’s relationship to India’s richest business families. His party is expected to win few seats in upcoming polls, but has tapped into a vein of public anger over a culture of entitlement among politicians, rising prices and endemic graft – issues it has helped push to the top of the election agenda. Gujarat, famed as the birthplace of Indian independence icon Mahatma Gandhi, is now at the centre of the national poll campaign. Modi’s supporters often cite the state’s economic success as the key reason they back him. Opponents and some economists say Gujarat’s good image owes much to a long tradition of entrepreneurship and point out the seafaring state was doing well before Modi took charge. Other states, ranging from Delhi and Maharashtra to the southern states of Karnataka, Andhra Pradesh and Tamil Nadu, attracted more foreign investment than Gujarat over the three years to 2012, the Reserve Bank of India says.